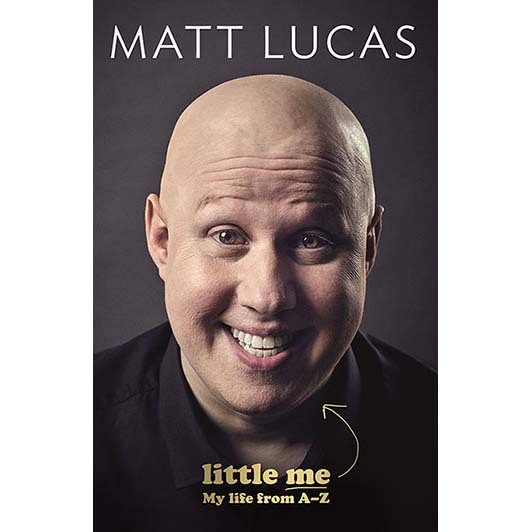 Little Me is the first memoir from comedian, screenwriter and actor Matt Lucas. He is best known for his work with David Walliams in the television show Little Britain, as well as for his portrayals of the scorekeeping baby George Dawes in the comedy panel game Shooting Stars and both Tweedledum and Tweedledee in Tim Burton’s Alice in Wonderland. He is also starring alongside Peter Capaldi in the current series of Doctor Who, screening since April 2017. Matt is a gifted, funny, serious and original writer with a truly unique and moving story, which he will tell for the first time in Little Me: The A to Z of Matt Lucas.